Cultured coconut milk, not yogurt. How could you even begin to confuse the two? 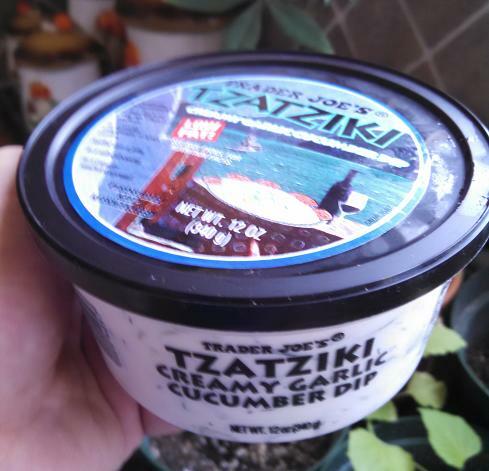 Thus picking up Trader Joe’s Cultured Coconut Milk in blueberry and vanilla flavors was an automatic grab for me. 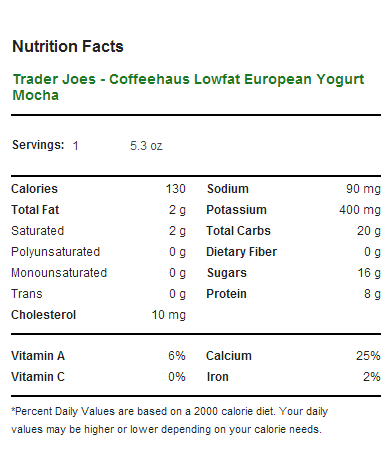 Coconut milk yogurt, awesome, gimme sommma dat. It wasn’t until later that day, as I was unpacking my bags, when the words on the label really sank in. Cultured coconut milk. 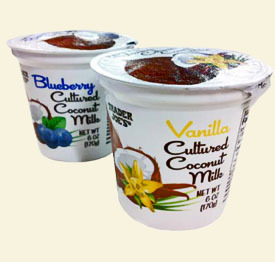 Not coconut-blueberry flavored yogurt, in fact not even yogurt at all – but a blueberry yogurt substitute made from coconut milk. 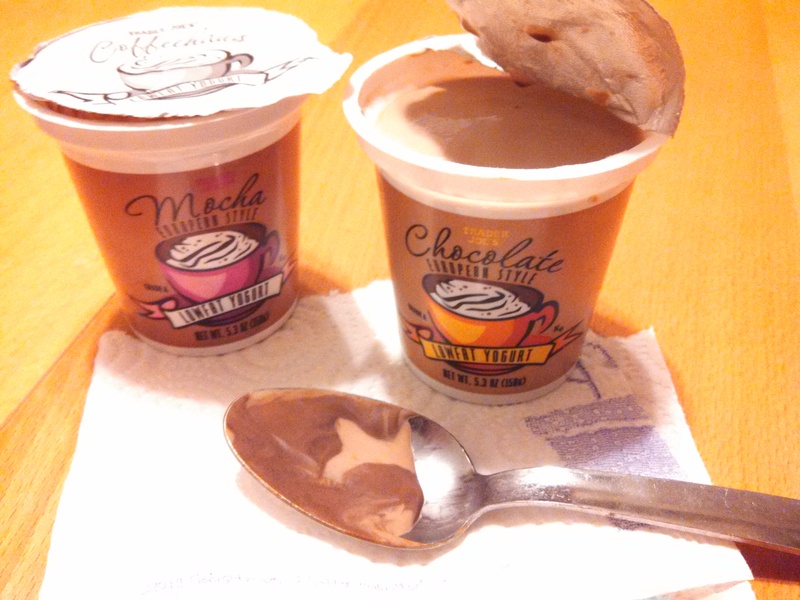 A vegan, kosher alternative to your dairy product breakfast. Now this was intriguing. Obviously the world is full of human beings, many of them wonderful human beings, who elect not to eat dairy products for a variety of reasons. 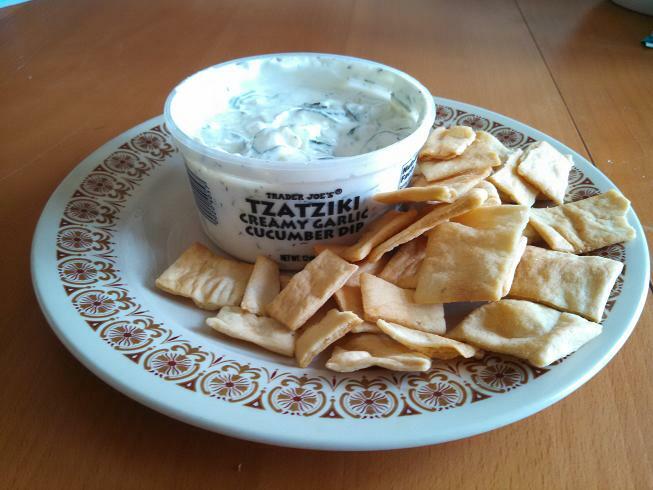 Nevertheless, the hankering for dairy products persists – an itch that one perpetually hopes to have satisfactorily scratched by innovative new products such as this one. Not an issue I personally have, but one that intrigues me none the less. The first question, of course, is does this stuff taste like coconut? No it does not, not at all. No more than your pot of Dannon tastes like milk. The coconut milk base here is effective obscured and overridden by the “yogurting” process, a process that is scientifically not actually referred to as “yogurting”, but which in this case seems to involve a great deal of flavorless seaweed extracts (our old friends agar and carrageenan among them), and some industrious bacteria. 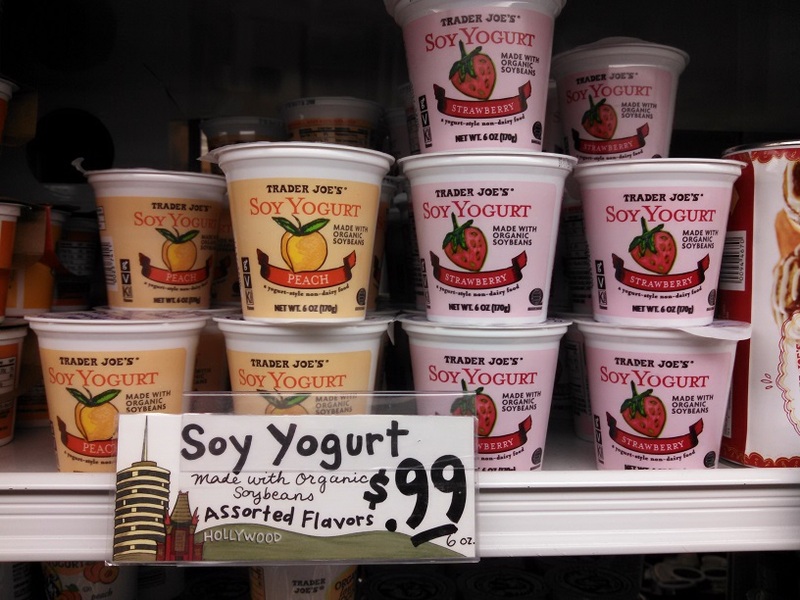 A second question arrives hot on the heels of the first – how much like regular yogurt is this cultured coconut milk? Not more than a close miss, actually. Coconut milk “yogurt” falls squarely into the imperfect facsimile camp, alongside such not-quite-there simulacra as Tofurkey, Silk, and Fakon. Simply put, you won’t mistake this cultured plant fluid for Yoplait. That said, Trader Joe’s does score points in two important arena. One, it doesn’t violently merge two words into a terrible vegetarian pun (“cocogurt”, perhaps), and two, cultured coconut milk tastes pretty good in its own right. Taken as a dairy yogurt supplement coconut milk yogurt doesn’t quite hit the mark, but taken as a new sort of breakfast item it’s not bad at all. 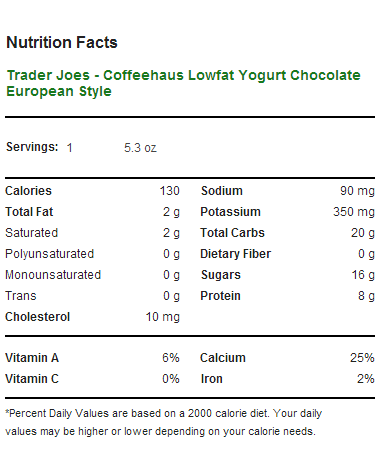 Trader Joe’s Cultured Coconut Milk differs from dairy yogurt in two chief ways – it’s much looser, fluidic almost to the point that threatens to spill from your spoon. However, it’s also strangely creamier than other yogurts, with an underlying velvety smoothness that coats your tongue in pleasant way. The strength of this yogurt substitute depends almost totally on your enjoyment of this novel texture. Taste-wise the coconut milk culture tastes fine – the blueberry tastes like yogurt blueberry and the vanilla tastes like yogurt vanilla. Not much news there. Being able to enjoy the coconut milk culture is simply a matter of being okay with a loose, velvety yogurt over a firmer, less smooth one. I’d be a convert, honestly, if it wasn’t for one thing. 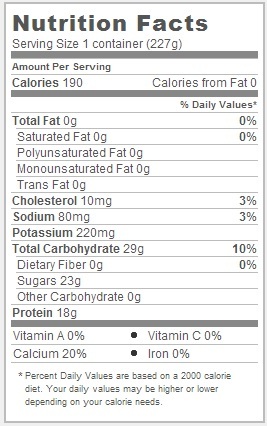 Quickly scroll down and check out the protein content – a single gram. Not much protein in those coconuts, evidently. The main reason I turn to yogurt for my sustenance in the mornings instead of, say, a bagel or muffin, is because of the aura of healthiness surrounding the concept of yogurt. 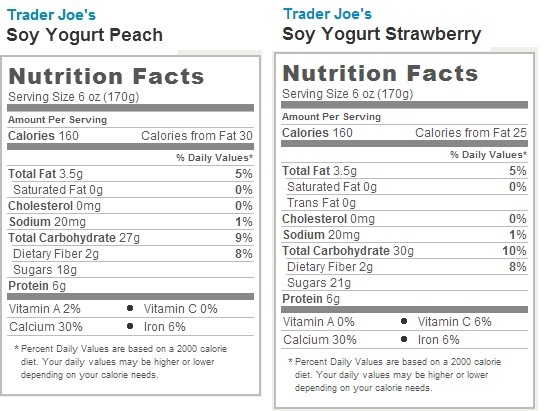 There might be just as much sugar in a little pot of Yoplait (27 grams) as there is in a whole donuts but yogurt has protein, dammit! That has to count for something. 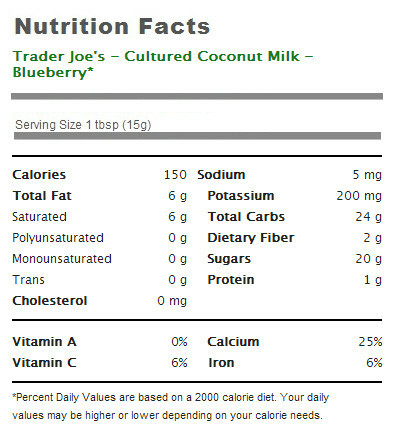 Trader Joe’s Coconut Milk Culture has 20 grams of sugar in it per serving, a considerable payload in it’s own right. 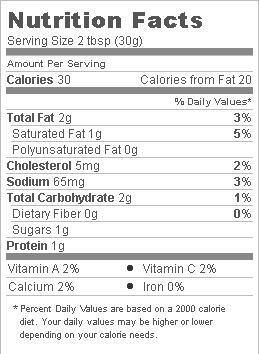 Take the protein out of the equation and all you’re left doing is slurping up a sweet, loose paste of dubious nutritional value. Would I Recommend it: Tailor made form my vegan-Hasidic friend, less compelling for everyone else. Would I Buy It Again: As an experiment for a smoothie base, maybe, but probably not. 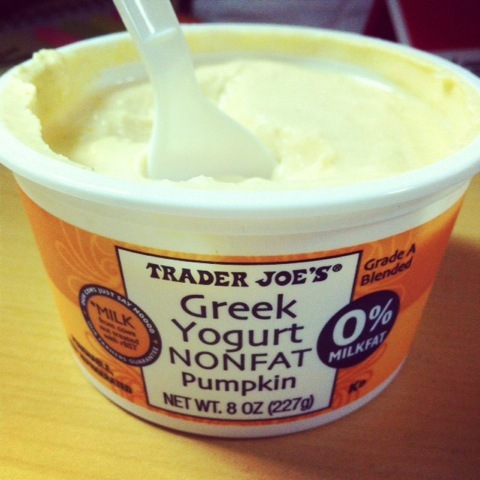 Final Synopsis: An intriguing yogurt alternative, but no protein and plenty of sugar ultimately make it less than desirable.